You may be surprised at how affordable a St. Norbert education can be. Did you know that a private college like St. Norbert can offer larger scholarships and more need-based aid than many public institutions? 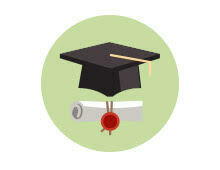 In fact, some of our students graduate with less debt than their public school counterparts. How? We’re committed to making a St. Norbert education accessible and we ensure that our students complete their degrees in four years or less. We want to make your dream to attend St. Norbert a reality, and we’ll work with you to explore every option to make it affordable for you. Apply to SNC and become accepted. Request a FSA ID to use in your FAFSA application. File your FAFSA beginning Oct. 1 and before Jan. 1 for priority consideration. St. Norbert’s school code is 003892. Aid packages will begin to be distributed in mid-December. With just a little information – your high school GPA, and ACT or SAT score – you'll be able see what your scholarship award might be! 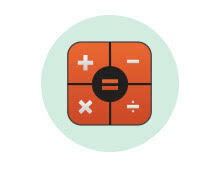 For a more in-depth estimate on the net price of your tuition, room and board, access the net price calculator. 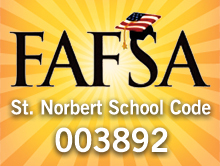 The St. Norbert College federal financial aid code is 003892.